LEVELS AT HAZELMERE DAM REMAIN LOW. Hazelmere Dam water levels have remained unchanged at an average of 30 percent, according to eThekwini Municipality’s Water and Sanitation Unit. The City’s Senior Manager for water operation Ashan Nandlal said while recent rains have helped the farming community, the rains have however not impacted on the dam’s levels. Nandlal said looking at the historical trends, surplus runoff from the recent rains is only realized at the dam approximately four to five days later provided that it rained in the catchment area. “Although the weather forecasts have predicted rains over the coming summer months, eThekwini Water and Umgeni Water are still continuing with contingency plans,” he said, adding that restriction were currently in place and depending on the level of the dam, tighter measures may be enforced to further reduce the demand over the coming holidays. 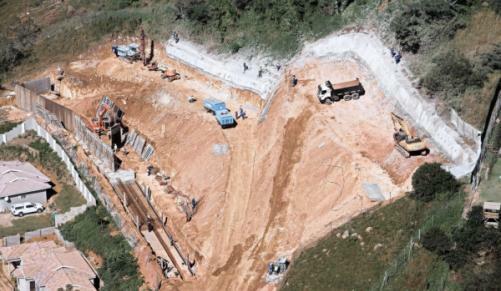 Nandlal said eThekwini Water was still proceeding with the Northern Aqueduct project where a section of it are planned to be operational by November 2015. Nandlal added that this will provide the flexibility to load-shift more areas from the Hazelmere Dam system to the Durban Heights System. 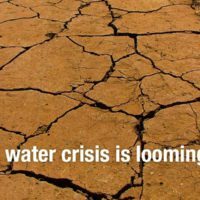 “It will further reduce the consumption from the Hazelmere Dam and help prolong the supply even further,” said Nandlal, urging consumers living in drought affected areas to use water sparingly. Meanwhile, businesses have heeded the call to reduce water consumption. Chris Buitendach, resort manager at Perna Perna Umdloti said they had already introduced several water saving measures. “One of the measures is that we will not be changing towels during your stay. The unit is equipped with a clothes horse for drying of towels and the cleaners will be instructed to hang all used towels out on a daily baisis,” he wrote in a notice letter addressed to clients. Hopefully the rain expected over the next few weeks will help the water levels at Hazelmere. Aqueduct Project Makes Steady Progress.